Get Lots of Reliable High Light with free-light! 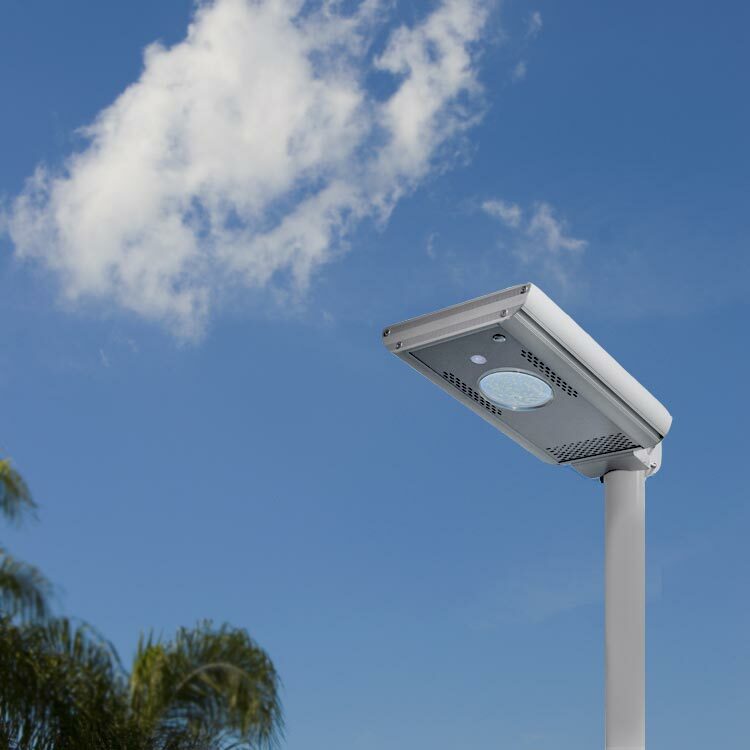 Ra60... With 27W of solar panel power and up to 10W of LED power, Ra60 is the biggest, brightest free-light available for parking lots, community mailboxes (super boxes), driveways and secure areas. Requires no electrical cables or cords to run - just the sun! Go from box to finished installation in as little as 15 minutes. The powerful solar panel charges the high capacity internal battery. This dusk to dawn, 4 season fully solar powered light can go for as long as 10 days with NO sunshine on a full charge. 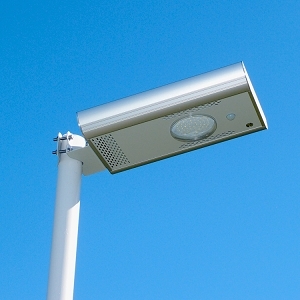 Lights up to 60' wide rectangle of light when mounted at 11'. Ships fully assembled, only requiring the mounting bracket to be installed on your post. See more Ra60 features. Ra20... The Ra20 with motion sensor will turn on automatically at 33% brightness all night and goes to 100% brightness for 1 minute when someone walks by. 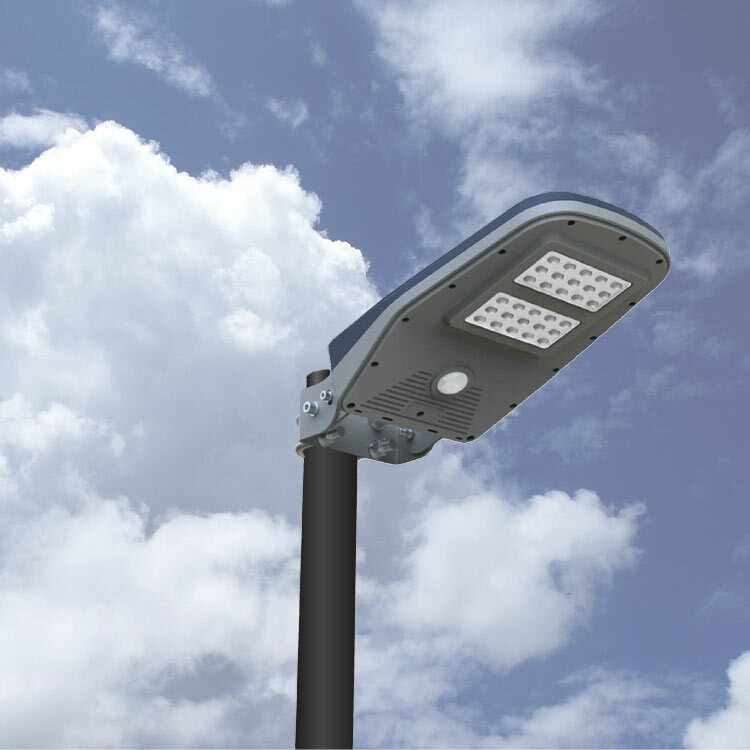 This quality built solar light is tested for operation in all climates. You can easily bypass the motion sensor and set for full brightness for 5 hours each night. The smart controller constantly monitors battery voltage and adjusts light output to extend battery life. Once the battery is low, the light will turn off, but will still come on when motion is detected to give you light when you need it most - even with a low battery. Ra20 has 15W of solar panel power and 6W of LED power. 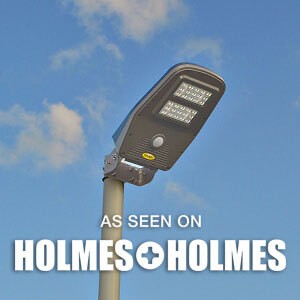 A smart choice for driveways, cottages, marinas, bike paths, and other dark areas. 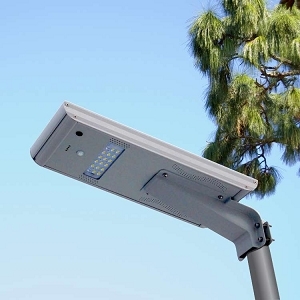 Ideal mounting height 10-11'. See more Ra20 features. Ra10... With its new LED design, the light pattern is rectangular for fuller light coverage. Light when you need it, up to 12 hours of lighting time. The compact size of Ra10 requires a smaller solar panel and therefore we suggest this light be considered a 3+ season light in the north. North facing applications for solar products are difficult to achieve great results. The solar panel should not face to the north, unless used in sunny climates such as California or Florida. 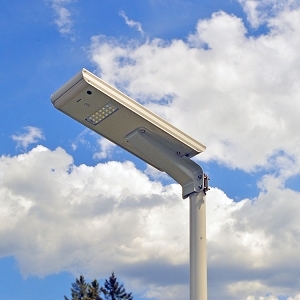 Ideal mounting height is 9-10'. 7W high quality solar panel covered in glass for long life, charges the Li-ion large capacity battery. See more Ra10 features.